Turnstone Custom Homes - Let's Build Together! Turnstone designs and builds new luxury homes and renovations throughout coastal Sussex County, Delaware. Our quality homes offer the homeowner a lifetime of carefree enjoyment. From helping you select a lot, through the custom home design process and selections, to the construction stage, to the day we hand you the keys to your new home - Turnstone is there to guide you every step of the way. But that is only the beginning of our relationship - our service after the sale is what our customers appreciate the most. Just read the testimonials from former customers who still keep in touch years after their homes are completed. They are the reason we can say that Turnstone Custom Homes is built on trust! At Turnstone, we embrace uncommon levels of humility, selflessness and transparency for the benefit of our clients. We always tell our clients the truth - especially when the truth is uncomfortable, for us or them. We have learned that this philospohy earns us extraordinary loyalty, trust and friendship from our clients, which is our mission. 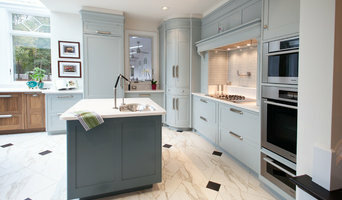 5x BEST OF HOUZZ WINNER! Established in 2008, R Squared Design is led by the creative vision of Rex Rogosch. 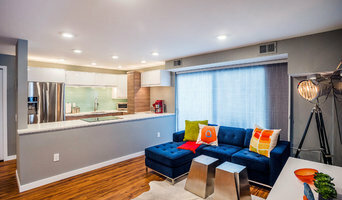 With over 20 years experience in commercial and residential design, Rogosch offers a diverse range of services from full-scale project management to single room design. Every project is managed and completed with the utmost attention to detail and exquisite execution. Delaware's Leading Architecture & Design Firm + Best of Houzz 2016-17! Shawn Ewbank Design Collaborative is a boutique design firm based in the Mid-Atlantic Coastal Region of the United States, serving clients from the East Coast to Texas. Our practice is guided by the idea that Architecture and Art represent a kind of language that goes beyond aesthetics and can both reflect and guide patterns of response (physically and metaphysically), in individuals and societies alike. We undertake the art of architectural design and planning, from concept to implementation, towards refining this language in service of those who may come to interact with the spaces we design. Our intention is to sustainably create habitable artworks for the human spirit that uplift the dignity and creative power of the individual while bringing to the surface a sense of connectedness with the larger phenomenon of space and environment in a way that affirms the desire to conceive a more beautiful way of being. We begin our work by learning and fully absorbing the needs, desires and aspirations (even those that may be inexpressible) of our clients. This cultivated awareness subtly affects the more linear, structured act of composing a three dimensional, physical form. Our approach is key in supporting our mission to provide architecture that offers a reflection of the inherent beauty of those who would dwell within. Born in Missouri and raised in Texas, Shawn relocated to the Delaware coast from San Francisco, CA in order to complete his first project, The Phillips House, and went on to found the Shawn Ewbank Design Collaborative, currently based in Lewes, DE. He completed a B.B.A. in finance at the McCombs School of Business at the University of Texas at Austin and holds an M.Arch from the San Francisco Institute of Architecture, where he was privileged to learn from pioneers of the ecological design movement and spend three consecutive summer courses living and studying at the Frank Lloyd Wright School at Taliesen West, outside of Scottsdale, AZ. Shawn’s dedication to architecture that explores the link between the human condition and the built environment is strongly influenced by his interest and study of consciousness and the human spirit, ecological design principles and the arts. EMK Designs is a residential design studio providing creative and practical custom home designs to suit your lifestyle with remarkable attention to detail and plans builders love. Before you start any housing project, whether it's a simple addition to your existing home or a custom home to fit your exclusive property, EMK Designs can help make your dream a reality. Listed below are a few of the services we provide to start the journey. •A visit to your home or building site to discuss the general scope and intent of the project. •Basic measurements and photographs may be taken for reference. •Basic design options will be discussed at the meeting; rough sketches can be created to help facilitate the discussion and options. •Once the meeting has concluded you will know the scope and the rough design of your project. •Experience gained from the meeting is applied in preparing a design contract for further consideration. When we move forward, we will keep you well informed during the entire project lifespan ensuring a smooth process. During the construction document phase you will see your project become a reality by receiving periodic progress sets. Once the drawings are complete you can then use them to obtain the appropriate building permits, determine materials (if not already specified), and gather bids from potential builders/contractors. Once construction has started we will work closely with your builder/contractor to ensure successful project completion. Archology, LLC is a full service architecture firm located in Milford, Delaware who specializes in sustainable, or green, design, aging in place, and hurricane resistant design. Lane Builders has earned the highest reputation in the construction industry based on its core values of quality craftsmanship, innovative designs and customer-driven service since 1981. 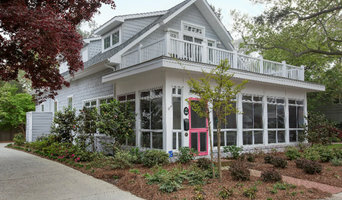 For more than three decades, we have constructed some of the Delaware Beaches most impressive custom homes, ranging in price from $180,000.00 to $4.5 million. We decided many years ago that our goal was to build homes, not just houses. Our team of dedicated professionals has been committed to creating dream homes for families since 1981. We invite you to view some of our Homes in our projects below. 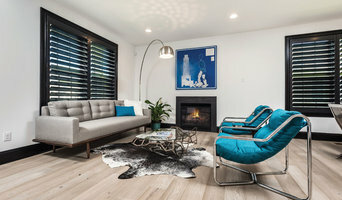 SCOTT EDMONSTON ARCHITECTURE STUDIO is a full service residential architecture firm based in Bethany Beach Delaware with expertise in residential and light commercial projects. At SEA, we are committed to designing green spaces that meet our clients' needs and budgets. We aim to significantly reduce the environmental impact, carbon footprint and life cycle cost of every building we design by selecting local, sustainable materials and by employing passive and active design strategies that help make our buildings and spaces more comfortable, beautiful and energy efficient places to live and work. Residential and commercial architecture. As a small firm, our focus is on highly responsive solutions to the clients requirements and desires, as well as sustainable strategies that benefit the clients and the community. Our process starts with a great deal of listening and of analysis of site conditions and context. We then generate creative and varied possible solutions, and, in consultation with the client, narrow in on the most effective design. The design process is collaborative. DECORATING DEN INT. SHELLEY RODNER C.I.D. 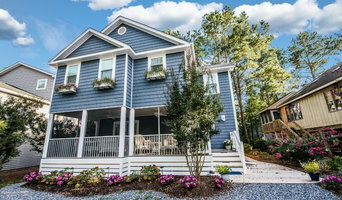 Hastings Associates, LLC, is a residential design firm in Delaware, specializing in the creation of upscale and unique homes. Hastings Associates believe that if you are investing in the construction of a new home, it is imperative to take the time and money to do it right. Hastings Associates, the Residential Design Group, will design a home for you that is aesthetic, suits your needs, and is timeless and unique to you and your family. Architecture firm specializing in residential design including new construction, renovations, additions, and green / sustainable design. Peter S Tocco Building & Remodeling LLC. Peter S Tocco Building & Remodeling LLC is a full service remodeling, renovation and repair company that has become the go to in the greater South Jersey area for high quality craftsmanship adjusted to meet your specifications and needs, regardless of the extent of the work you need done. As a family-run business, we are committed to providing our South Jersey clientele with more personalized services that make your bottom line our top priority. Without the cumbersome overhead costs associated with larger, less versatile remodeling companies, with Peter S Tocco Building & Remodeling LLC you can rest assured that more of your hard earned money goes into the work itself.